Will Going to College Stop You From Getting a Home? It is an indisputable fact that prices are constantly rising. Whether it be the price of gas, buying a home, having a baby, or getting an education, everything is constantly getting more and more expensive. Though we all feel the strain of constantly rising price tag, a much more unsettling situation is presenting itself. 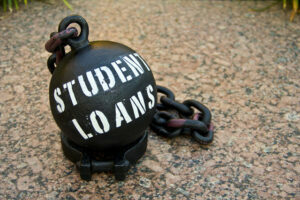 Loans obtained by individuals at a young age, such at student loans, are affecting people long term financial health. An article recently published on Mainstreet.com (found here) outlines the issue created by student loans harming people ability of obtaining a home loan. We would like to offer our opinion on this phenomena, as well as offer a possible solution. As far as the facts go, extensive borrowing can definitely impact someone’s ability to qualify for a loan. Student loans in particular seem to take up the major percentage of the debt carried by most. As far as a solution, it is important for people to learn to live within a budget. Whether it is a car, a house, or an education, it is vital for all of us to live within our means. These type of big life purchases are important – and costly. Still, even expensive items have a pretty wide price range. While it is typically impossible to avoid taking out any student loans, it is still possible to minimize their amounts. By not always springing for the most expensive option, the best of the best, we can all reduce the amount of debt we are burdened with. If paying off your debts relatively soon doesn’t seem feasible, another option of asking your lender if it is possible for you to make interest only payments; this will, at least, stop your principal amount from rising. To learn more about borrowing money from a bank click here. All in all, the best way to get rid of debt is to not take loans out in the first place!